Without a doubt, we are best known for our Design Services. Wedding design is so much more than just a centerpiece on a table. Our design process is extensive, curated, and authentic. Through our collaborative brainstorming sessions we create intentional, memorable, and incredibly lovely storytelling . From color palettes to bridal attire, stationary fonts to room layouts, each phase of the design process is layered in details. 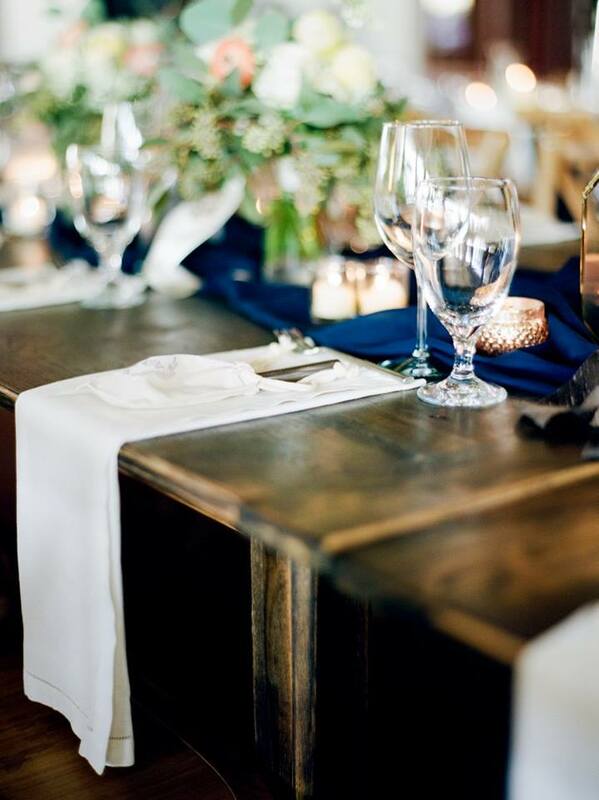 The end result is a wedding filled with intimate guest comforts, rich moments, and impeccable style. Flowers are our love language and we like to speak of them often. Our approach to arranging is to respect each flower as it is bloomed and to create based on our design esthetic: romantic, lush, soft, and a bit giddy. We work directly with floral farms for each of our weddings and often use peonies from Johnny's treasured garden for our May and June Brides. produce a day that is streamlined and fluid for you and your families to celebrate. We offer full service planning and Month-of coordination to our clients, based upon where they are within the stages of their planning journey.